A few weeks ago I was asked to participate in a market research interview for Rodda’s. All I really knew about them in advance of the interview was that they make the best clotted cream ever. 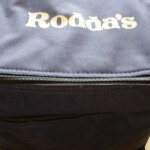 I have occasionally tried other brands when I couldn’t get hold of Rodda’s and have always been left disappointed. If you haven’t tried Rodda’s, I urge you to seek it out for a taste revelation. I was interviewed by the very lovely Cath of HillTaylor market research. One of her first questions was what memories eating clotted cream evokes. That’s an easy one – I can vividly remember my first ever clotted cream experience. It was on a British Airways afternoon flight from Edinburgh to Belfast and we were served afternoon tea. The scone looked fresh and delicious and sitting beside it was one of those mini glass jars of strawberry jam and a little plastic tub of Rodda’s clotted cream. 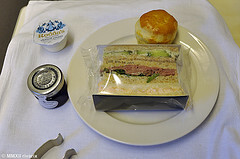 photo sourced from businesstraveller.com – I have no recollection of those sandwiches! I sliced my scone in half and spread it liberally with strawberry jam – lovely. Then I had a look at this clotted cream stuff. I’m not a huge fan of cream – my father adores cream and has sometimes joked that I can’t be a true Mercer (my maiden name) if I don’t adore cream! All I knew about clotted cream was it came from Cornwall. I’d never tried it, as it wasn’t readily available in Northern Ireland when I was growing up. I knew I wouldn’t like it much but I always like to try new things so I popped open that little tub and put a tiny tiny amount on the top of my scone, at the edge, so I could immediately take another bite without it, if it was horrid. I nervously had a little nibble – mmm that tastes quite nice. I put another bigger blob on my scone – oh yes, that’s really nice. I covered the top of the rest of the scone – mmm mmm mmm – wow – finally I can say I’m a true Mercer! I love cream – as long as it’s clotted! I took the other half of the scone and liberally spooned as much clotted cream as I could fit on top of it. Oh the taste – so luxurious! Once I’d finished the scone, I ate the rest of the cream from the tub with a spoon. I may also have stuck my finger in the little tub to make sure I got every last dribble from the edges! So, one little taste of clotted cream and I was hooked for life. Next time I was out shopping I looked for clotted cream in the supermarket and it was nowhere to be found – I asked store managers about it and they shrugged and said they occasionally bought it in but it wasn’t worth it ’cause it didn’t sell well. Crazy! Mind you, before that flight, I could easily have seen it and not even considered buying it. 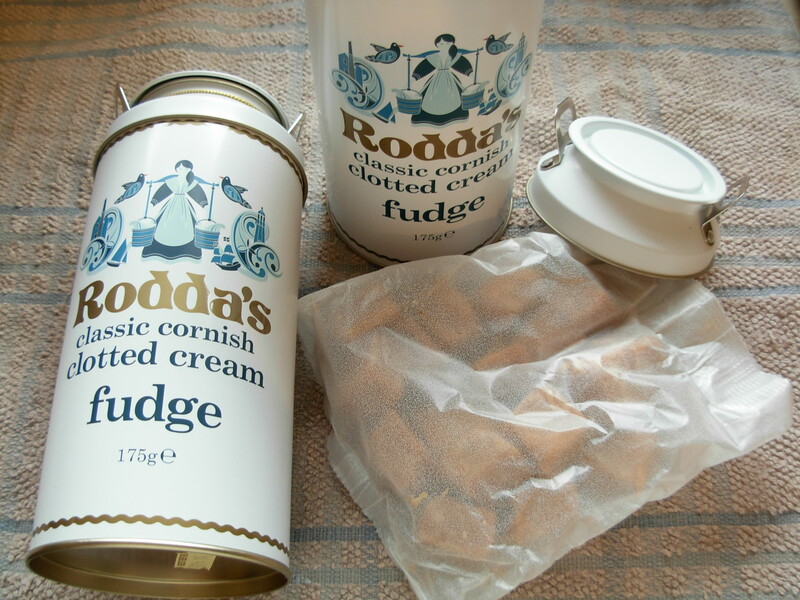 So, with no other way to sate my clotted cream fixation, for the next few years, every time I flew that route, I made sure to book an afternoon flight – purely so I could get one of those little tubs of tasty heaven! Boy was I disappointed when BA stopped flying my regular Edin-Belf route! In the following years, I did occasionally see clotted cream in the supermarkets and always snapped up a pot. I quickly came to realise that not all clotted creams are created equal! I persevered, trying one brand after another. Then, joy of joys, I discovered a pot of Rodda’s in the supermarket. Wow – taste and flavour sensation – so creamy & delicious. It is, without doubt, in my opinion, the only brand of clotted cream one should ever consider buying! 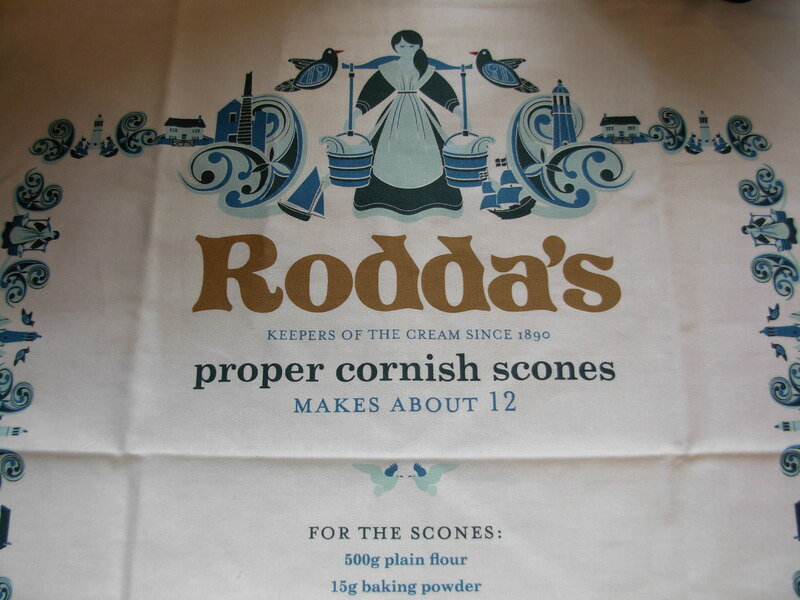 Since then I have made a promise to myself that no matter how much I am craving clotted cream, I will only buy it if it is Rodda’s – it’s just not worth the disappointment I feel when I taste other brands. 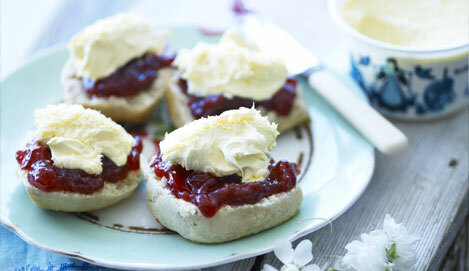 A cream tea is such a luxurious, indulgent event that I want it to be perfect and Rodda’s clotted cream makes it so. So, back to that market research interview, and Cath asked what I knew about the company. I had only discovered their request for interviewees because another food blogger had re-tweeted their message. 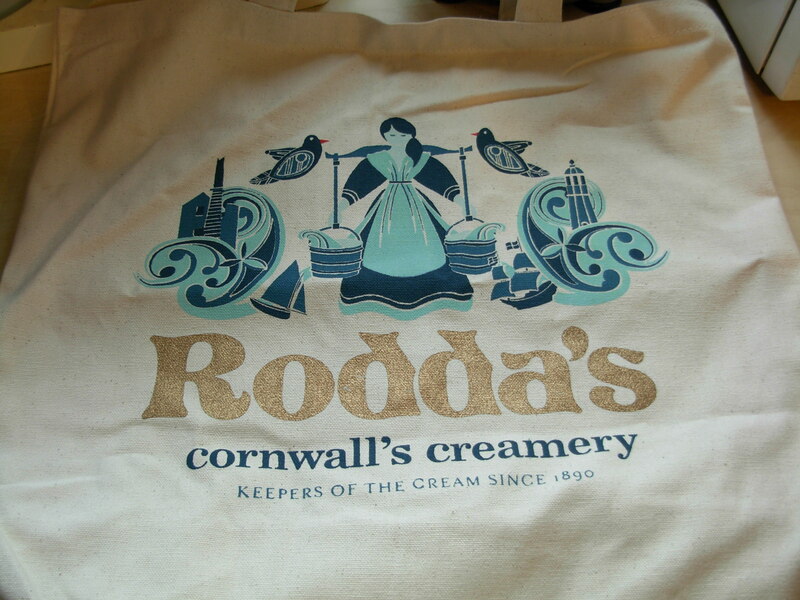 I resolved to find out more about Rodda’s after the interview finished. So what did I discover…? which is still run by the Rodda family today. Rodda’s source all their milk from local farmers within 30 miles of the creamery. 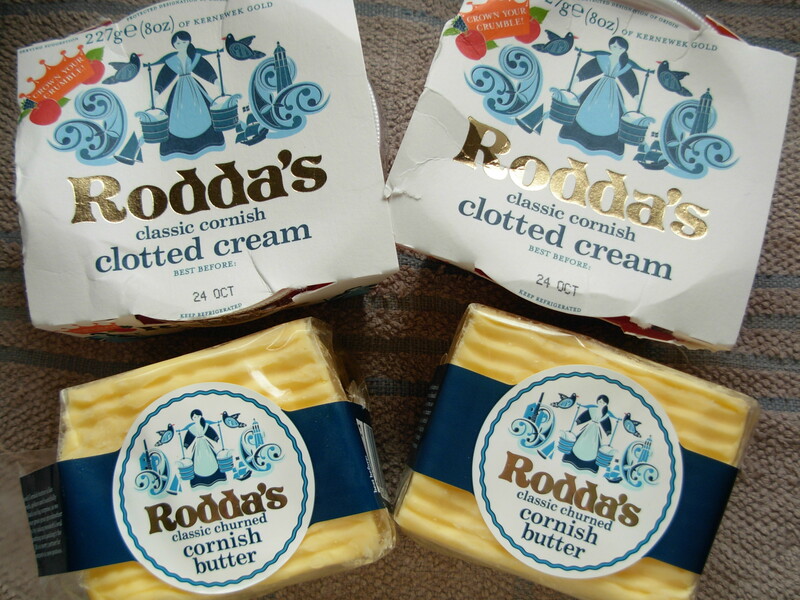 Rodda’s still craft Cornish clotted cream in the traditional way. which protects traditional regional foods and is a guarantee of quality and authenticity. So, all of this sounded fabulous and their company fits exactly into my ethos of what a good brand should be. 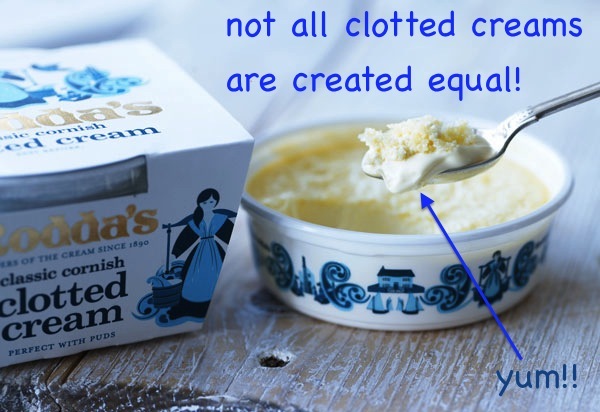 I was already loyal to Rodda’s clotted cream, now I can say I am a loyal supporter of the whole brand and am excited about discovering the rest of their range! 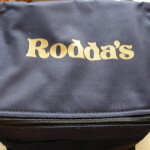 Rodda’s cooler bag – great size – gonna be fab for picnics! Clotted cream fudge – that was sampled right away – it is simply delicious! How cute are those milk churns it comes in? Cornish clotted cream & Cornish butter – I have yet to try the butter but I notice that Mr Vohn has been eating rather a lot of toast this week!! What a fantastic “little” goodie bag! So, tell me dear reader, is there any brand of any food that you just can’t get enough of? Disclaimer: I feel I need to add this, as I have been so effusive about how much I love Rodda’s. I was not asked to write this blog post, nor paid anything by Rodda’s. All opinions are my own and are completely honest and genuine. I did receive the goody bag mentioned above, as a thank you for the delightful half hour I spent chatting with the researcher. P.S. One of the things we discussed was the great Cornish/Devon debate of which first? Jam or clotted cream? By complete coincidence I later came across this link – the great debate has been scientifically studied! I knew I had it right! Dear Vohn – this is Cath, who had the market research chat with you. I just wanted to say what an absolutely fabulous write-up, which I so enjoyed reading. I am also delighted that you enjoyed our chat and that you loved your goody bag – how marvellous! Thanks again for all of your help. Gosh I miss clotted cream SO MUCH! Wish someone would come over and sell it in Italy! Not sure that something so calorific would go down that well with the Italians though! May just have to wait for my next trip home! What gorgeous products! We get clotted cream here too but it looks a bit different to yours there and to the ones I’ve tried in the UK. It’s less thick and more like a creamy yogurt.